Rainwater Harvesting provides for the collection and storage of rain water and then enables the stored water to be used for toilet flushing, Washing Machine water and Garden watering. We handle the Rewatec range of Rainwater Harvesting Systems, these can provide up to 50% of the typical household water needs thus saving on the mains water costs. Our Rainwater Harvesting Systems support the processing of rain recovery and rain collection and then provide for the rain water storage into the highest quality tanks. The tanks carry a 25 year warranty, and do not require any concrete in the installation. 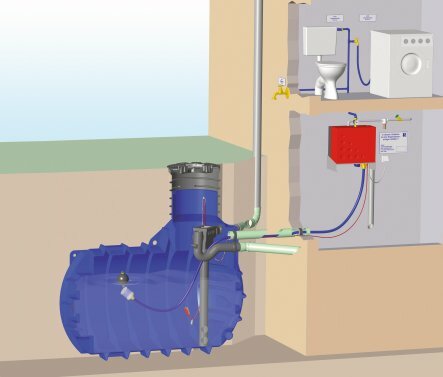 We have a full range of systems available, utilising either internal or external pumps.